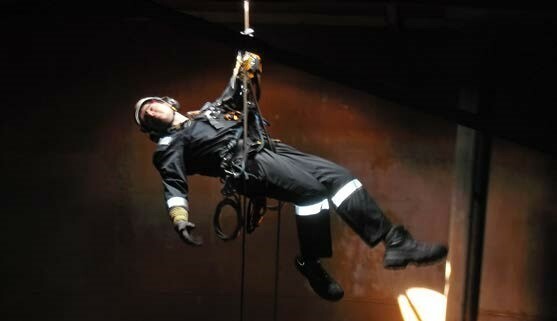 Originating from caving, mountaineering and climbing, Rope Access techniques have been adapted and developed and are now commonplace in most industries. 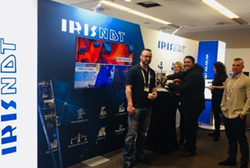 IRISNDT has built a wealth of experience and expertise in its rope access division over the past years. 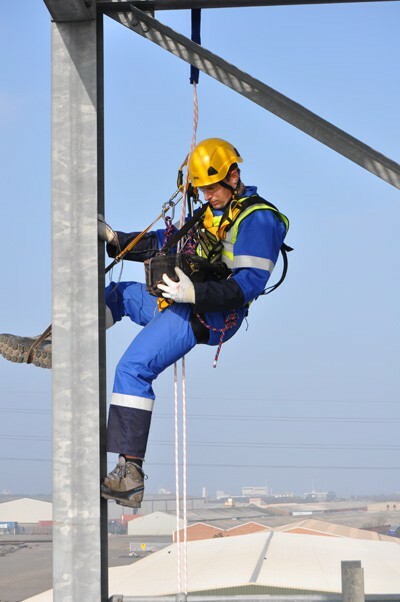 Combining rope access and Non destructive testing has enabled our company to provide some of the most efficient and advanced methods of inspection around today. 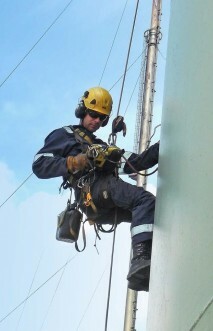 Using modern day rope access techniques and Irata trained personnel eliminates the time restrictions and limitations of conventional access methods such as scaffolding. 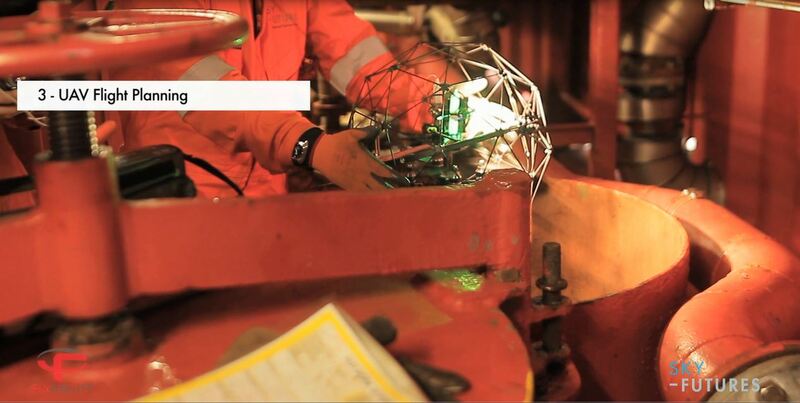 In turn reducing costs and increasing productivity for our clients. 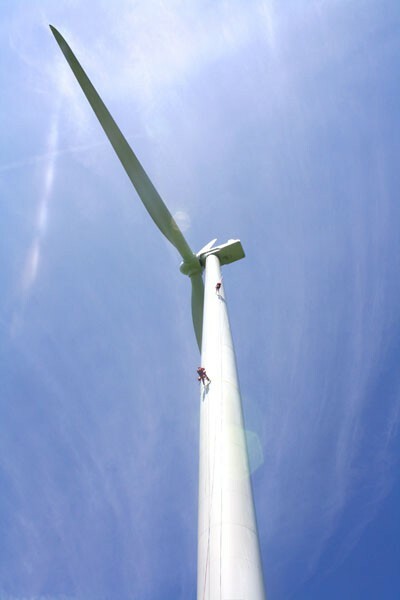 Wind turbine inspection and cleaning. Many of these services can be highly beneficial to our clients. Not only because they reduce the dependency for scaffold but also because our quick response can reduce down time and increase productivity. A typical example in the industrial environment is fallen insulation or dangerous objects overhead stopping a job for safety reasons. 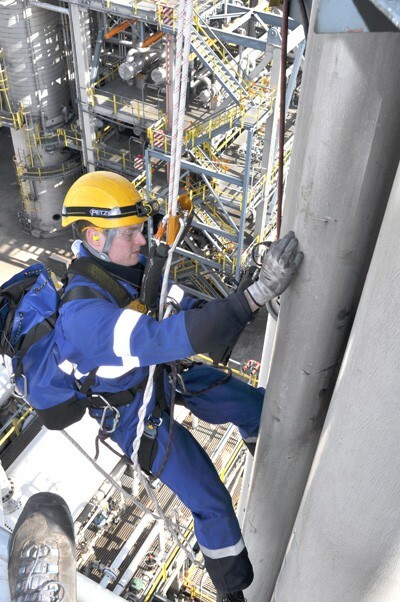 These situations can be approached safely from above using rope access and removed, in turn returning production back to normal. 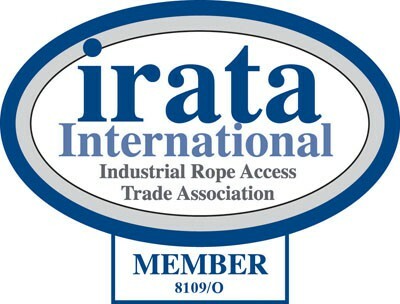 If you think your business may benefit from these services or you have any queries please contact our rope access division. One of our representatives will be more than happy discuss any requirements you have.